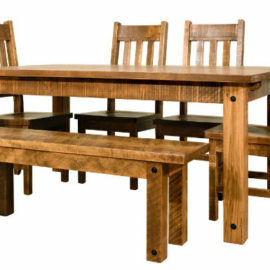 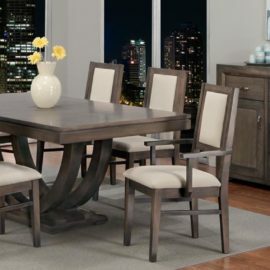 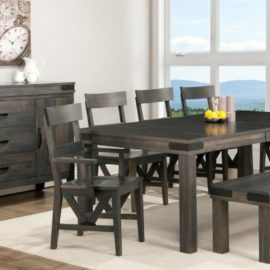 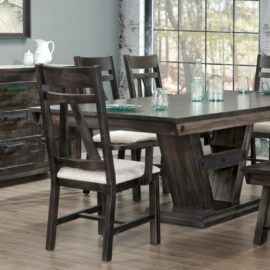 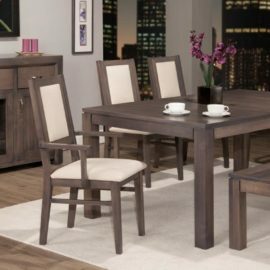 Whether you desire a rustic or modern look, our Mennonite dining sets are the perfect choice for your home. 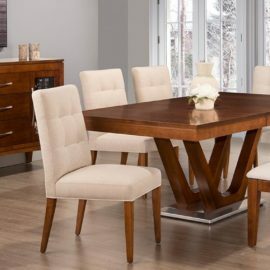 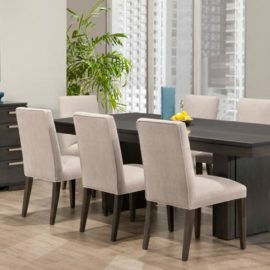 Combine a pedestal or harvest table with a set of dining chairs and a sideboard and you’ve got a new dining room ready to host, whatever the occasion! 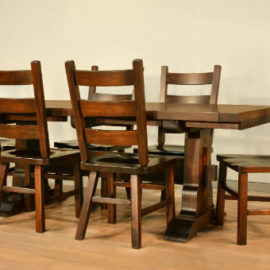 Experience the quality difference that comes with Mennonite craftsmanship. 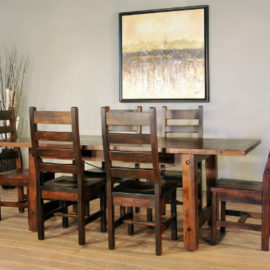 Solid wood tables, chairs and sideboards in your choice of wood and stained to suit your decor. 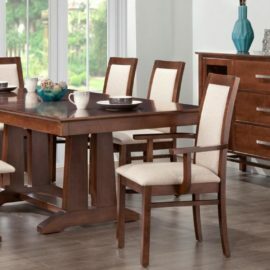 Built to last a lifetime, it’s more than just furniture, they’re your future family heirlooms! 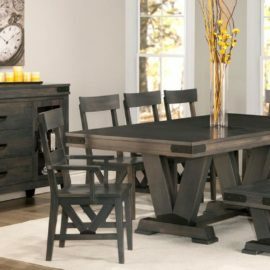 Our sets are pieced together with matching tables, chairs and sideboards, but that doesn’t mean you need the same for your home. 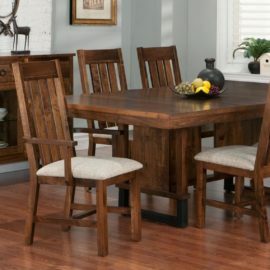 Feel free to mix and match to your heart’s content to get the look you want.